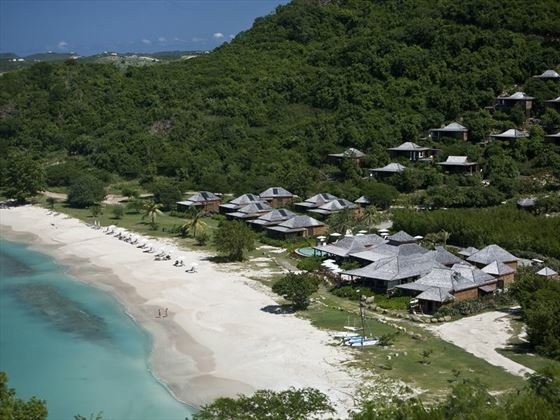 On a white sand beach with uninterrupted views of the Caribbean Sea, Hermitage Bay offers understated luxury set in acres of tropical gardens and woodlands. There is no more romantic a place to seal your commitment of love for each other. Offering a variety of picturesque wedding locations, we will help you have a wonderful wedding day. 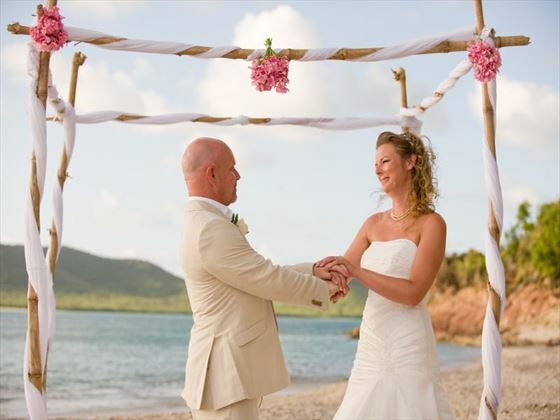 With a striking beach, uninterrupted sea views, and tropical gardens, there is no more romantic place to exchange vows than at Hermitage Bay. 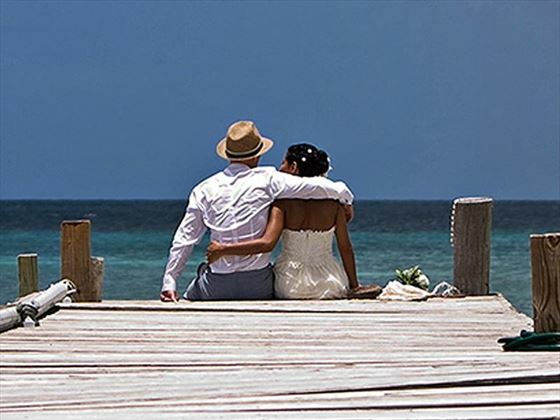 The hotel has a very unique policy of hosting only one wedding a week means that they are able to dedicate their full attention to your wedding, making sure it is the wedding of your dreams, and allowing the two of you to focus only on each other on your special day. There is a maximum of 10 guests allowed. 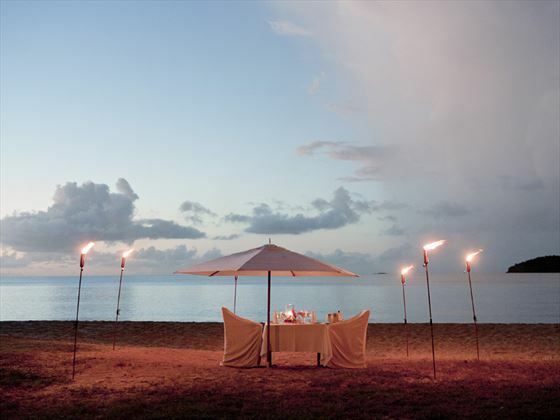 Stay 10 nights in the Garden Suite and receive the Classic Wedding free as well as the room upgrade Garden Suite to Beachfront Suite. Valid passport which expires more than 6 months after the date of your return to the US. All legal documents must be in English or legally translated into English. All translated documents must be from a legal translator with letterhead, stamp and seal from the translator's office or notarised by a Notary Public. 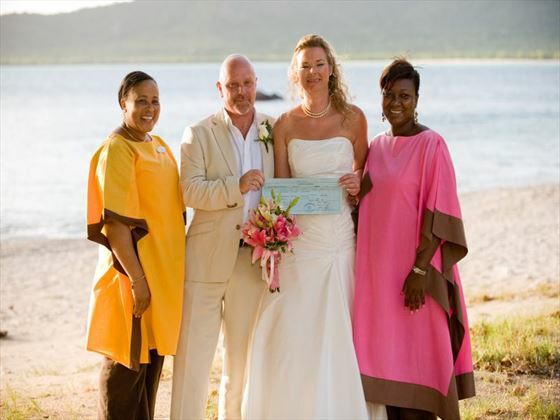 Couples should be referred to the embassy of the country of origin and the country where they wish to marry as they may require extra documentation to satisfy their own embassy requirements – Tropical Sky cannot advise on this and couples must investigate this on their own. 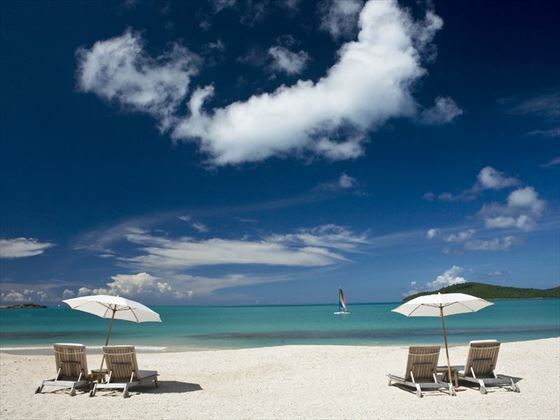 Why book your Antigua Wedding with Tropical Sky?